With over 200 scents to choose from for women, Scentbird is a fun way for mom to discover her new favorite fragrance. For just $14.95/month, she receives a 30-day supply of the designer fragrance of her choice in a travel-friendly spray to pop in her purse. 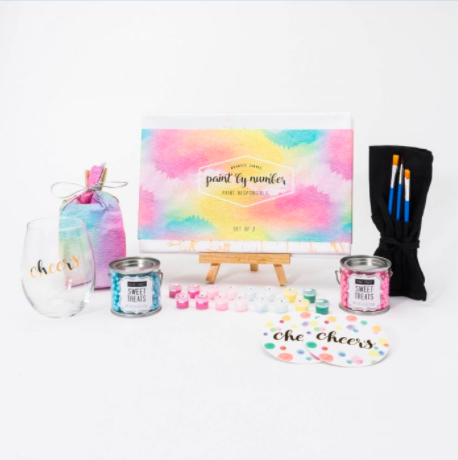 If mom loves her local paint night, this Cheers to Art gift set is sure to delight. It brings the fun of popular paint night events into her living room. With a paint-by-numbers canvas and all the necessary art tools, all that’s left is a bottle of wine and her closest girlfriends. Finally: a survival kit for all the tired moms out there! 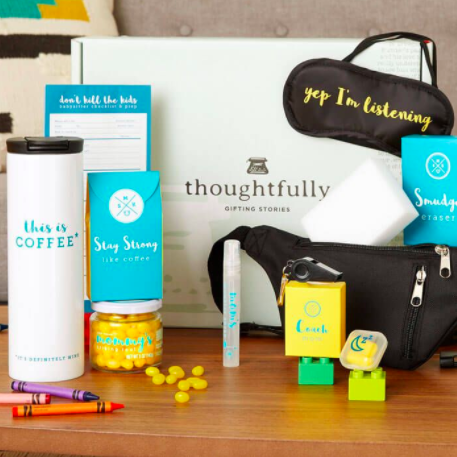 This fun kit comes complete with the most important mom-gadgets she needs at her disposal: an eye mask and ear buds for her much-needed afternoon nap, a thermos for coffee (or another adult beverage), a fanny pack, and more. This tongue-in-cheek gift is sure to bring laughs this Mother’s Day. 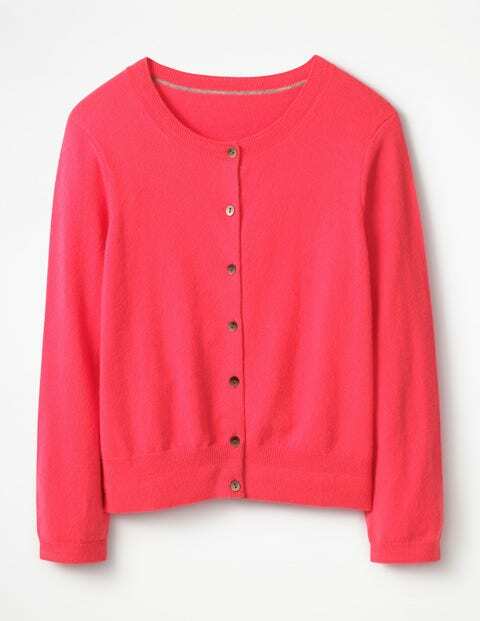 You can’t go wrong with this classic and sumptuously soft cashmere cardigan. For an extra “wow” factor, choose from one of the many beautiful spring colors, like Bright Watermelon, Citrus, or Rosebay. Lighten her load with this sleek and stylish crossbody bag. 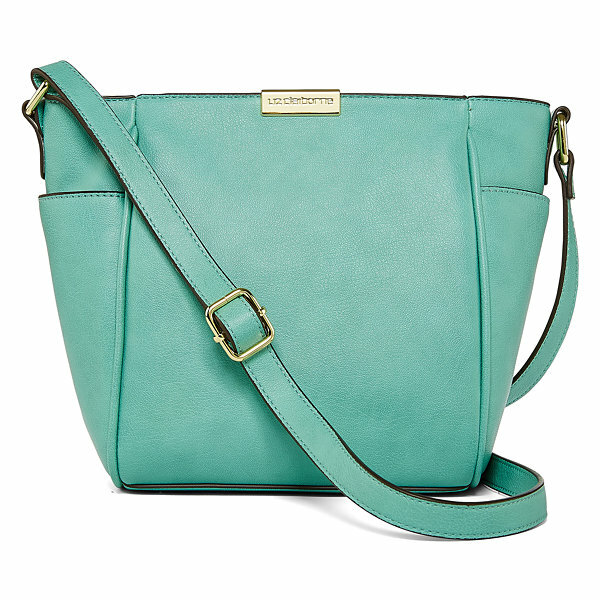 The beautiful Mint color is a welcomed change from her trusty black bag she carried all winter. It’s just the right size to take along on all her adventures without compromising style. 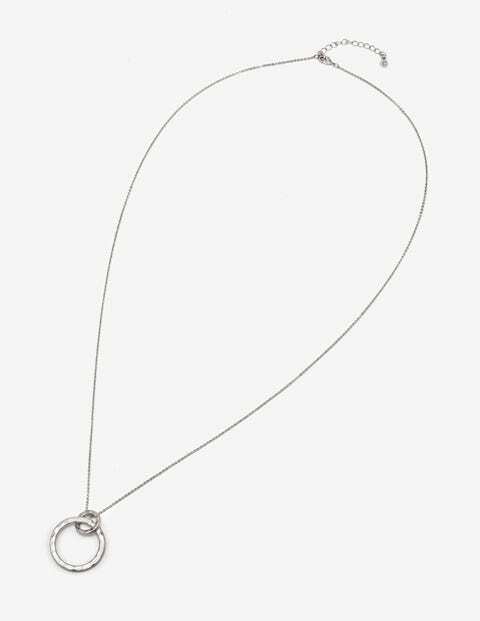 Elegant yet modern, this circular pendant necklace adds a fun touch to her spring wardrobe. Available in 3 colors (Gold, Rose Gold, and Silver), any of which will go effortlessly with her style. Unlike other jewelry gifts that just sit in her dresser, this is a piece she will easily incorporate into her everyday look. When gift shopping, you want something personal and one-of-a-kind, but above all affordable. Etsy is the perfect place to shop for custom, handmade and affordable gifts. To help you find unique gifts this spring, Etsy’s editors created a list of top Spring Gift Ideas – and they are all under $30. If you share a special quote, place or memory with someone, these handmade genuine leather keychains can be customized with a name, geographic coordinates or words of your choice. It is a great option for the men and boys on your shopping list. Geometric and modern, this marble pendant necklace can be personalized with a first initial. It can be dressed up or down and offers just the right amount of shine and glamour to any outfit. Show a girlfriend how much you care with this chic gift that is sure to charm and inspire. Candles are a great gift option for friends, neighbors and coworkers. These rose and citrus candles are hand poured in Vancouver. Clean burning, sustainable and entirely natural, these candles are free from phthalates and petroleum. Each is shipped in a cloth gift bag.